UPinARMS: How effective is environmental activism in cities of the Global South? What do the Steel Flyover, the Karnataka Power Corporation Limited Power Plant in Yelahanka and Kaikondrahalli Lake have in common? They are all representative of how citizens across Bangalore are responding to environmental sustainability in the city, often linked to choices related to “development”. The value of community scientists is especially visible in cities of the Global South, where the economically disadvantaged and vulnerable are unable to pursue the full range of mechanisms of environmental activism. 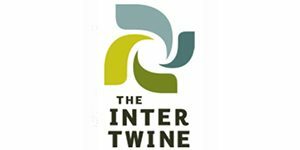 They were also discussed at a panel dedicated to Environmental Activism in Bangalore at City Scripts 2017, a three-day literary festival held at IIHS’ (Indian Institute for Human Settlements) Bangalore City Campus from 3-5 February 2017 and attended by more than 500 people. Speakers on this panel comprised academics and environmental activists sharing experiences from their involvement on a range of city problems that are as environmentally pertinent as they are socially relevant. Dr. H. N. Chanakya, Chief Scientist at the Centre for Sustainable Technologies at the Indian Institute of Science in Bangalore, has a long history of involvement on research and development of decentralized energy technologies, water and wastewater, treatment and purification, management and processing of solid wastes, and energy system integration into rural and peri-urban areas. Dr. Chanakya is an advisor to several environment-focused civil society organisations and public sector agencies. He has been instrumental in ensuring a nature conservation focus at Puttanahalli (in Yelahanka) and Jakkur lakes, both in North Bangalore’s Hebbal valley. He feels that conducting science walks for children at Jakkur Lake is as important as opposing the development of a power plant in Yelahanka which could potentially destroy the viability of the entire Hebbal Valley lake system. From a sustainability standpoint, it is as important to question the larger, environmental impacts of an intervention that is meant to meet our growing energy demands as it is to empower our next generation to engage with questions of urban sustainability. Dr. Veena Srinivas, is a Fellow at Ashoka Trust for Research in Ecology and Environment, or ATREE, where she leads projects which combine field hydrology, low-cost sensing, and community science to find solutions to critical water problems. Srinivas, whose interests include intersectoral water allocation and sustainable water management, spoke about the unique window of opportunity and years of academic research that sustainability represents: either to be directed towards a sustainability transition, or to counter an unsustainable transition through scientific evidence. Researchers from ATREE have been studying hydrology at Jakkur lake since 2015. They are now concerned about the effect of the new KPCL power plant on Jakkur and downstream lakes, including Rachenahalli. Setting up water level sensors in Rachenahalli and conducting a bathymetry survey will help estimate water balance in the lake, as well as inflow and outflow from the water body. These estimates will help to model different scenarios that emerge from the sale of treated water from the Jakkur STP to KPCL, identification of alternate sources of water (such as new sewage generated as the surrounding area densifies further or the wastewater from the KPCL), and water contamination problems in the absence of adequate water treatment facilities. The researchers’ discussion laid bare not only the interconnectedness of water bodies in the city’s northern valley, but also the impact of decisions made in the realm of energy generation or wastewater treatment and recycling on the continuation of an urban lake system. The mapping of water in select lakes is one segment of a larger study whereby water, and particularly wastewater flows, in the city need to be mapped to think through city-scale solutions on a range of issues, including human waste management. 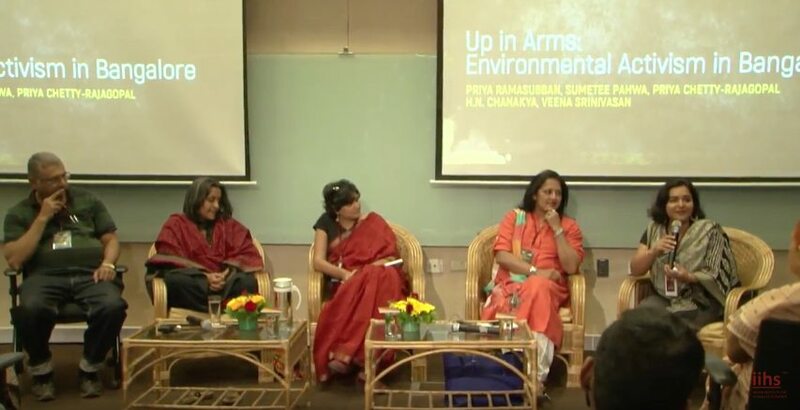 Priya Ramasubban, another panelist, explained how her citizen group, working with scholars from Azim Premji University, among a range of other stakeholders, had found a way to manage the series of lakes, of which Kaikondrahalli is one. In a novel attempt, slightly different sets of activities related to recreation, conservation, or leisure are being articulated across different lakes in close proximity to each other, thus enabling some level of equitability in access. Ramasubban reflected on the reason she and her citizen group are able to address critical issues related to the conservation of Kaikondrahalli Lake. “We are always present and always engaged”, she said. Governance issues that sometimes need tackling are related to the management of the water body, as well as different groups’ claims and access to the lake and resources in its surrounds. As the managing trustee of a non-profit agency dedicated to environmental custodianship, Ramasubban must regularly negotiate with city officials, must sometimes lobby both politicians and corporate leaders, and must engage with media to ensure that the mandate of the citizen group is communicated, is understood, and remains uncompromised. In her own words, each day brings a new struggle in a drive towards greater inclusiveness and equity. And although some struggles end in frustration, this is not a path that one can step off, says Ramasubban. Building awareness around conservation is an ongoing effort, with continued support from citizens, bureaucrats, and politicians alike. Environmental activism, conversely, often takes root around planned interventions by state authorities that may harm the city’s environment or its people’s well-being, and which require a highly public and urgent appeal in order to be successful. A perfect example is the proposed steel flyover in Bangalore, which may help reduce travel time from the airport to the city centre by a mere 7 minutes for private vehicles. 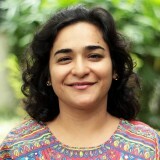 Priya Chetty-Rajagopal, also a panelist, described the process of activism that has taken place since the flyover was first contested through the formation of the activist group Citizens for Bangalore to the mass public campaigns that finally resulted in a stay order from the National Green Tribunal. People opposed flyover construction on several fronts, including the loss of diverse species; the extent of tree felling required for the actual construction; the awareness that flyovers do not necessarily lead to traffic decongestion; and that the structure does not feature in any of the past or current city development and spatial plans. Finally, a question pertaining to justice took hold—how can public funds be utilized to benefit only a few privileged car owners on a particular route? Instead, they should be redirected towards developing a commuter rail network for the city’s working masses. Transport planners and engineers involved in this campaign believe that even a slight shift from road to rail, scheduled to time with office hours, should have a dramatic impact on non-motorized connectivity in the city. At the same time, planners and academics in the city, led by Leo Saldanha of the Environmental Support Group, are contesting the non-democratic and exclusionary process adopted by the Bangalore Development Authority for preparing the Revised Master Plan for 2031. In his book on climate change, The Great Derangement, Amitav Ghosh [Note 1] has posited the question whether activism, particularly environmental activism, is merely a physical manifestation of online petitions—a display in which activists consider their own actions as performative, with the awareness that demonstrations will not necessarily lead to change in policy or state-driven practices. Recent experience—at least in the stalling of the steel flyover construction in Bangalore—suggests that protest has more behind it than performance. Citizens are choosing to respond, through activism, to situations of civic concern where a sizeable public outcry may well be the only mechanism that works. However, there is a softer, less visible, more everyday type of environmental activism, which consists of building awareness, forming political alliances, and collaboratively producing and disseminating knowledge to develop an ecological consciousness in the city. 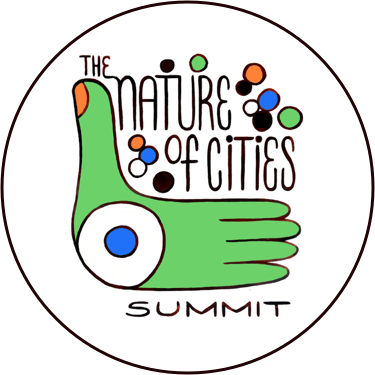 Community members dedicated to daily management of natural assets, or to scientific enquiry and evidence generation on the status of nature in the city, are also helping give voice to unique urban problems, which are both environmental and political. The value of community scientists is especially visible in cities of the Global South, where the economically disadvantaged and vulnerable, who stand to lose the most from environmental misappropriation, are unable to pursue the range of mechanisms for environmental activism discussed at the panel. Amitav Ghosh, 2016. The Great Derangement: Climate Change and the Unthinkable. Penguin Books India Pvt Ltd.